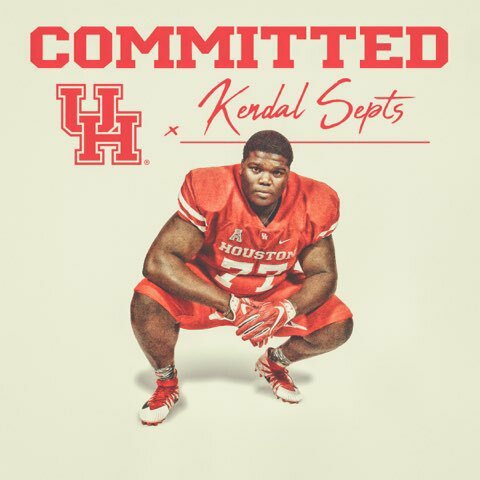 Boom C/O ‘20 OG Kendal Septs commits! This is a huge commitment for us, both literally and figuratively. He’s a massive, local interior OL who had offers from Aggy, Tennessee, Nebraska, and Mizzou. They’re all huge. But glad yall more jovial with Dana’s recruiting than with Major. Hey they’re new Coogs. New hope…always a jovial occasion! Not me. 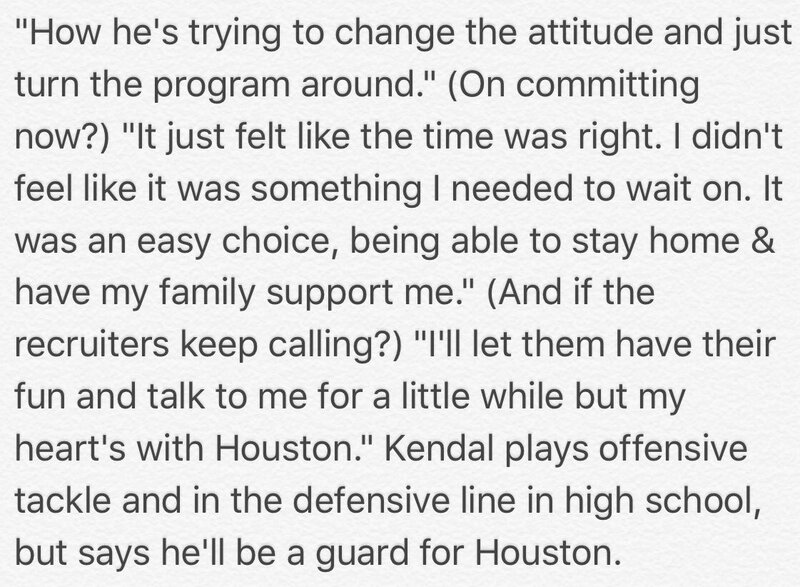 Who the head coach is doesn’t determine how hard I pull for UH’s success. But having said that, Septs would be the 3rd highest rated high school recruit from the ‘17-‘19 classes, only behind four-star LB Nelson Caesar and athlete Julon Williams. Williams was rated just 0026 points higher. Jovial in this case because he is a heck of a recruit at a position we have sucked at recruiting for quite awhile. Exactly! Recruiting is going to be much better under Dana. It matters whenever you can get good recruits on both sides of the trenches. That was my critique with Major; that and his emotionless interviews. A HUUUUUUGE get for us! Literally and figuratively! Bryce has been really pushing kids on twitter to “Stay home.” Really come around now that his former coach is back at UH. What’s his height and weight? Can he play this year?! ?